Website Graphic Design and Animations First impressions can last a lifetime; and they can based on the visual effects. A interesting and attractive website is essential to hold the attention of a individual, he will then be interested enough to explore the content on your website. Web Site Graphic Design & Flash/jQuery Animation On the other hand, a boring looking website with little visual appeal may not keep the interest of the visitors, subsequently leading to a loss in business. We can visualize what our website should look like. We need a web site graphic designer to shape it into our dreams. The graphics of your website should look appealing, but also enhance the professional look of your website. Flash animations and multimedia elements can really make your website interesting. When people visit your website and find it attractive, they are sure to recommend it to their associates and friends.I can help you with all the graphic details and development of your website. Serving businesses in the Manassas, Prince William County, Washington DC Metroplex and working with clients in Texas and nationwide to create custom web designs that will impact your business. 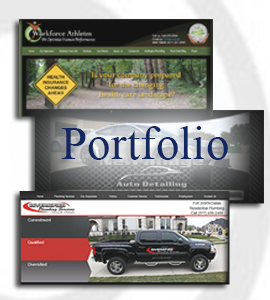 We are a Virginia web design firm located in the Washington, DC metropolitan area. We provide web design, graphic design, e.Commerce, WordPress design, mobile design, as well as hosting and domain services.